An American Heart Association report says diets rich in monounsaturated fatty acids from plants are associated with a lower risk of dying from heart disease or other causes compared to diets rich in monounsaturated fats from animals, which are linked to a higher risk of death from heart disease or other causes. 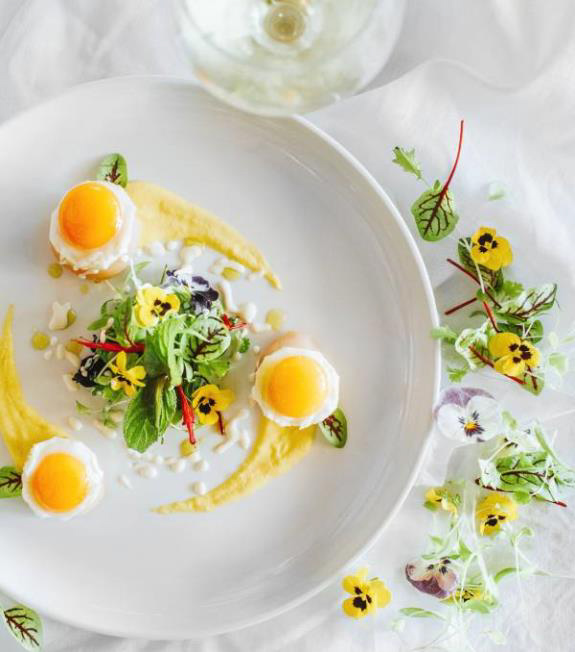 Fresh: Quail eggs never looked so good. Picture: Dominique Cherry. THE EVENT: Oaks Cypress Lakes Resort’s Piggs Day Out on Saturday, June 2. THE DISH: Nelson Bay scallops with sweetcorn puree, Pukara Estate basil oil, topped with quail eggs. What a recipe: promoting local EVOO to both cook (high heat sear) and dress the dish! 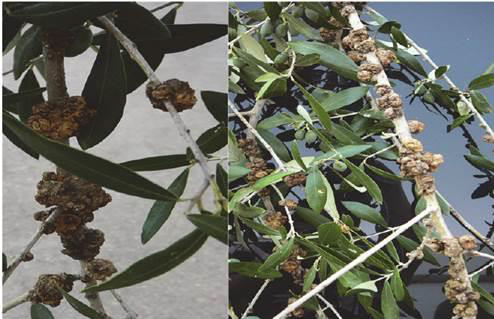 With the harvest season upon us and wet weather approaching, AOA Code of Practice OliveCare® Administrator Peter McFarlane has provided a timely reminder about the bacterial Olive Knot Disease (Pseudomonas savastanoi pv. Savastanoi). A devastating scourge for Barnea and Frantoio varietals in particular, Olive Knot appears as rough galls or swellings on twigs, branches, trunks, roots, fruit or leaves. They grow rapidly into smooth, spherical green knots, increasing in size and becoming darker and more furrowed. Transmission is via the bacteria in the galls, which ooze out in wet weather and enter the tree through wounds, including those caused during harvesting. 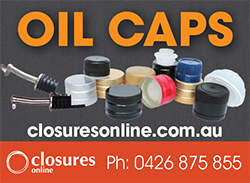 The only available control agent in Australia is Copper Oxychloride and Copper Hydroxide, which must be applied within 24 hours of adverse weather or pruning/harvest damage. apply copper sprays within 24 hrs of rain, hail or frost events, after pruning and immediately post-harvest – timing is critical for effective control. Growers experiencing Olive Knot Disease are requested to send details to McFarlane at: peter@mc.com.au. Houston, we have lift off! Or at least olives. Finally, decades after I planted my first olive trees. Olives of many shapes and colours varying from almost white through green to purple black. Entertaining story-telling about the complexities of growing olives! 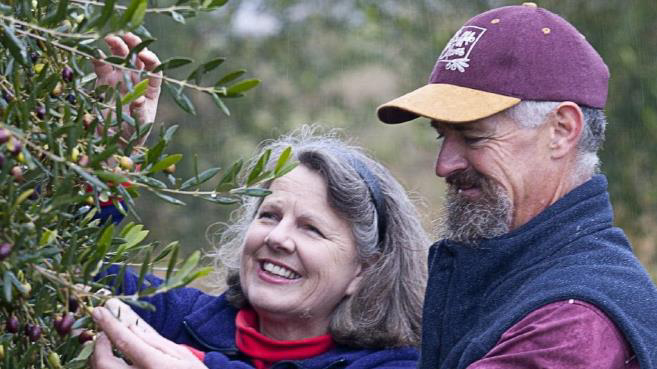 Colin and Elise from Mt Buffalo Olives will host an event for High Country Harvest. This isn’t just a pick-your-own day at an olive grove, it’s a pickle-it-yourself opportunity, too. Award-winning olive producers Colin and Elisa Bertuch will open their grove to guests next month as part of High Country Harvest. New online information source the Olive Wellness Institute (OWI) is an invaluable resource for olive growers and industry producers, providing easy access and reference to credible, up to date information on the health benefits of EVOO and olive products. The OWI aims to increase awareness of EVOO Oil and other olive products by gathering, sharing and promoting expert, credible and evidence-based information on their nutrition, health and wellness benefits. It is targeted at health professionals and the public interested in non-branded credible information, and in time will also include resources specifically for growers. At its base is a global Advisory Panel of health and science experts, who provide insight and guidance, and ensure a high level of scientific direction. 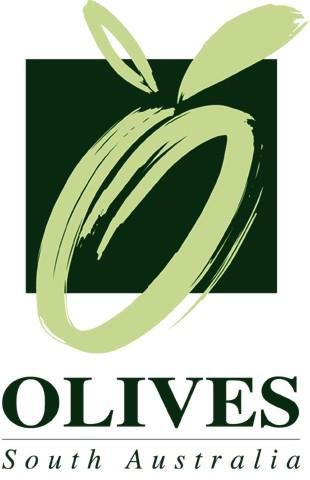 The site provides a credible reference point to help share accurate science and debunk myths, along with an olive science database with references related to olive health and wellness. 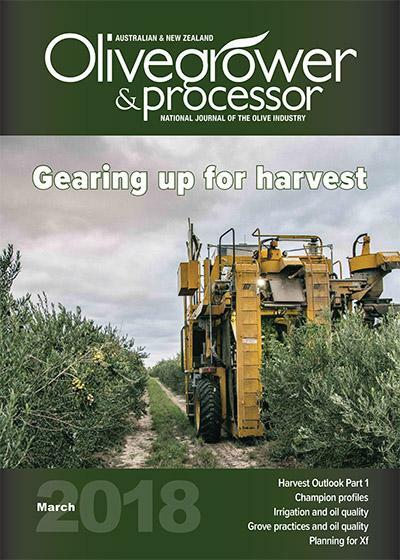 Olives SA members are invited to attend an industry field day being held in conjunction with the Nangkita Olive Harvest Open Day on Sunday, 22 April. OSA sessions will run from 10am-3:30pm, and are free to members (yes, you can join on the day!). Lunch is available as part of the Open Day event at an “all-you-can-eat” cost of $45. Session 1: Pruning with Hartley Lewis of Lewis Nurseries - theory of why and how to prune, followed by practical session in the grove. **Sponsored by Eclipse Enterprises, providing each attendee with a free Falket double cut pruner valued at $70. Session 2: “Doing the best for your olive trees” with panel members Brian Pridham, McLaren Vale Irrigation; Sam Freeman - Senior Agronomist, DJ's Grower Services & Supplies; Peter Wadewitz, Peats Soils. Covering the practical aspects of looking after your trees. For more information contact Kent Hallett at oops@aussiebroadband.com.au or 0428 829 024. The Fleurieu Forward Farming group is running a field day on soil health and water use, being held on Tuesday, 15 May 2018, 9am–3:30pm at Koolah - 2581 Range Rd Willow Creek, SA. The keynote speaker is Deane Belfield from Regenerative Australian Farmers, on Biological vs chemical farming what’s the difference, can they work together? Be paid to build your soil carbon. There will also be 20+ soil health exhibitor displays, with experts on hand to speak with on the day. Cost is $25 including lunch – book here or get more information here. The country’s largest trade event for food retail, foodservice and hospitality sectors, Fine Food New Zealand, takes place from 24-26 June 2018. 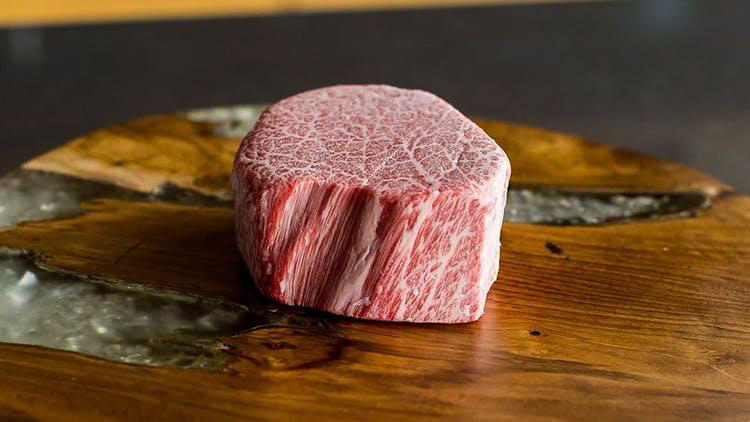 The biennial trade-only event enables international businesspeople in the food, beverage, food service, equipment and packaging industries to scope local markets and establish new trade relationships with New Zealand producers ready to export. Attendance is free for delegates - find out more and register here. Age-related brain plaques, which may play a role in Alzheimer's disease, can start forming in your 40s. Keep your brain buff with these tips. Tip #1. Be like Popeye ... And love olive oil. The International Organization for Standardization (ISO) has updated its product labelling guidelines to ensure food information contained in QR codes and RFID technology is made more accessible to the consumer. 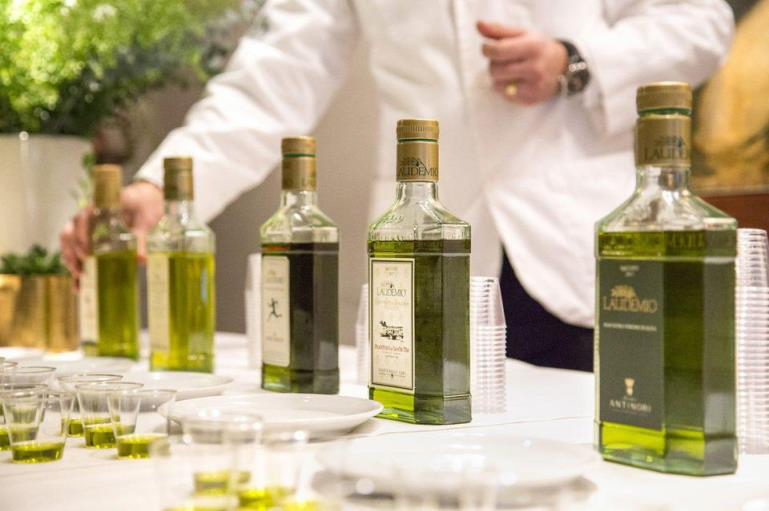 Courtesy: Laudemio olive oil tasting in San Francisco. Olive oil has been a staple of the Mediterranean cuisine and beauty regiments for centuries. The increasing demand for highest quality product has put significant pressures on growers and makers around the world, especially among traditional top three exporters: Italy, Spain and Tunisia. The Ministry of Environment, Water and Agriculture announced that corn, olives, grapes and pumpkins will be added to the list of crops banned for export. The export of watermelons, peaches, potatoes, onions and tomatoes were banned earlier. This is to reduce crop irrigation use - and we thought we had water problems! This product is getting a lot of global press – and big money. We farm olives and cows in Aust/NZ: anyone interested? Some labels have tasting notes, like wine. Others carry batch numbers, like limited-edition bottles of whisky. All proudly display the provenance and variety of olive used. 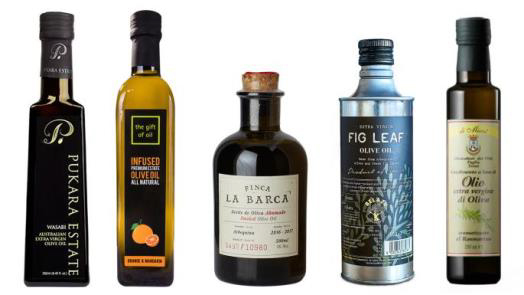 And while the prices per bottle for infused olive oil can be high, quirky new flavours continue to win over new fans in restaurants and kitchens across the country. Olive-oil giant Deoleo has signed a deal with Spanish agricultural co-op Viñaoliva to develop and market a range of new brand of oil. Deoleo, which owns brands including Bertolli and Carbonell, said the "framework agreement" with Viñaoliva is "based on the quality and traceability of olive oil".